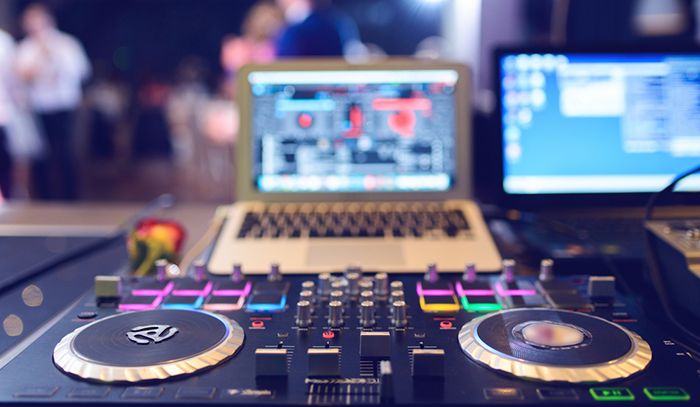 Here is how your DJ can mess-up your wedding! HomeAll Posts...Here is how your DJ can mess-up your wedding! A first dance is extremely special and deserves spotlight. If your DJ is not used to catering for weddings, he might announce your first dance out of the blue, thus losing focus on the lights, paparazzi and videography that is supposed to be on you! A great DJ is one who can make people break through all inhibitions and get them on the dance floor regardless of their demographics. If you only see youngsters on the floor, then you have got a club DJ at your wedding. And if you have only your uncles and aunties shaking a leg, your DJ is too boring. Hire the best DJ for your sangeet and get the party rolling! Of course, we want everyone to have a good time at your wedding. However, there is a fine line between a good time and the night is over. If your DJ goes overboard with his Disco music skills, this might turn to be more of a scene taken out from a club rather than a wedding. You want people to remember the real reason why they are there, don’t you? A DJ is nothing without his equipment and is only as good as his instruments. If your DJ happens to have invested in bad quality equipment that can give up anytime, you might as well not hire him. Ensure that your DJ package is a complete one and they both go hand in hand.